Introduced on the Porsche 911S at the end of 1966, the famous Fuchsfelge saw Porsche break new ground. The five-leaf design was one of the first alloy wheel designs offered on a production road car (at the time many manufacturers were still using steel or wire wheels). With the release of the 2.4-litre Porsche 911T in 1972, a second alloy wheel option was offered for new neunelfers, with ATS’s cast (rather than forged) ‘cookie cutter’ design coming as standard on the entry-level 911. These two choices would continue to be offered throughout the Seventies and Eighties until the Porsche 964’s introduction at the end of the latter decade and the debut of the cast alloy Design 90 wheels. Soon, the Design 90s were joined by arguably Porsche’s second most famous wheel design, the original Cup. A cast alloy version (for Carreras and Turbos) and a forged magnesium offering (for the 964 RS) were made by Italian manufacturer, Speedline. 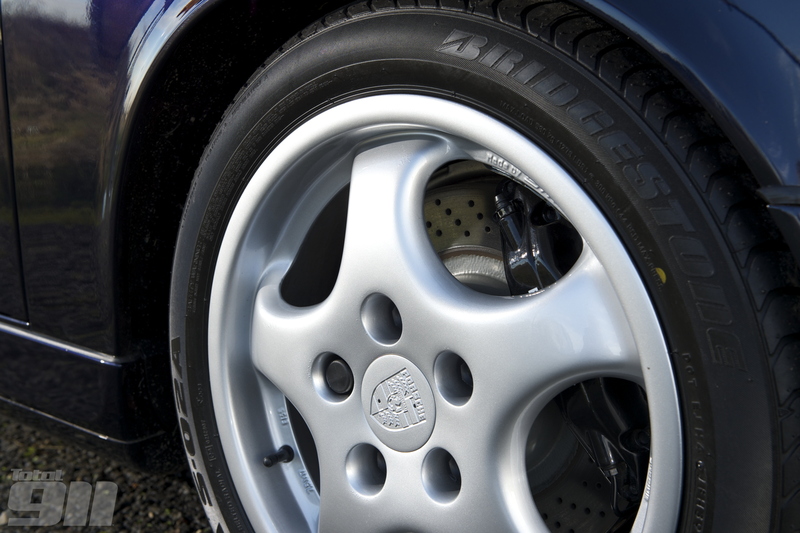 Speedline would also introduce the first iteration of its three-piece split rim alloys during the 964 generation, although the design would reach its zenith on the 993 GT2 where the centres were once again made from magnesium. From the 996 generation onward, wheel choice was greatly expanded with a number of cast alloy options (including the second, and last, iteration of the popular Turbo Twist design). The second generation of Porsche 997 saw the introduction and expansion of centre lock alloy wheels. First debuted on the 997.2 GT3, the motorsport-derived design was soon rolled out across the GT3 RS, RS 4.0, GT2 RS, Turbo S and Carrera GTS models. The latter duo featured the forged alloy ‘RS Spyder’ design, a subtle variation of the BBS wheels used on the Porsche RS Spyder LMP2 race car that achieved considerable success in America. Porsche’s preference for centre-locks has carried through to the 991-type 911s, including on the latest Porsche 911 GT3 RS, the first sports car to roll out of Zuffenhausen with 21-inch rear alloys.